Grab your knitting and a friend and join us for the Nov Knitting Guild meeting! Tuesday, Jan 14thfrom 6-8pm at the Harvey County Courthouse (Newton, Main & 7th streets). *Check our Ravelry page for more information and carpool details. 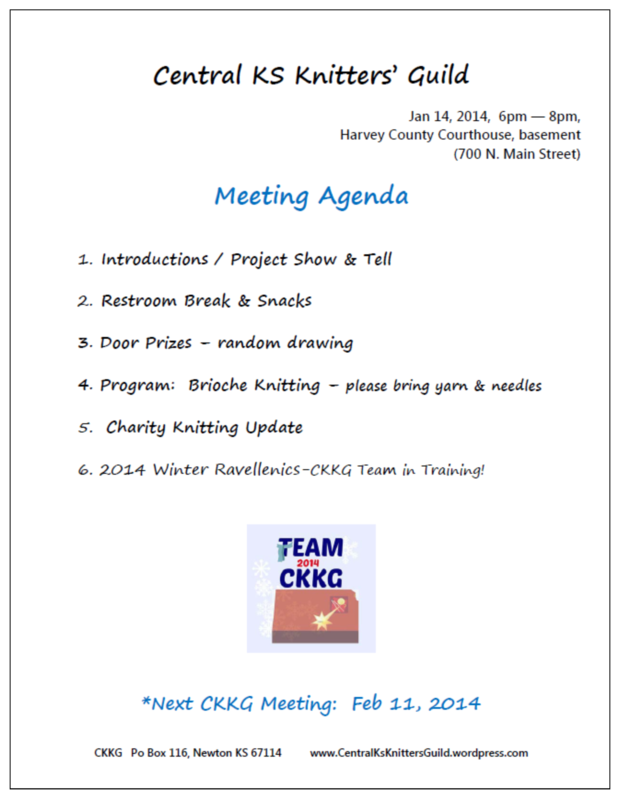 We have an exciting agenda, including a program on Brioche Knitting and a Team Update on the 2014 Winter Ravellenics! Can’t wait to see everyone again! PS- Never been involved in a Guild? Come check us out. Grab a friend, your knitting and come see what we are all about. We encourage everyone to bring a Knit Kit to guild meetings. Feel free to forward this to your knitting friends!